In a democracy, the election process is like having a physical exam. We know it’s good for us, but it’s not a pleasant experience. Most of us are put off by the relentlessly negative tone of politicians: “My opponent was born on Mars, and was sent here by his masters to subjugate Planet Earth!” Wild charges and personal attacks of that sort are nothing new, but there was a time when they at least had to have some basis in fact. That standard — that a statement isn’t libelous if it’s true — was established in the 1735 trial of John Peter Zenger. His case turned out to be a landmark victory for the idea of freedom of the press. Zenger was a German immigrant to the colony of New York who learned how to operate a printing press. The colonial governor back then was a man characterized by historians as, among other things, “spiteful” and “greedy”. The governor’s name was William Cosby, but he was probably no relation to the William Cosby who tried to convince a later generation of Americans that New Coke was better than the original recipe. Inevitably, an opposition party formed, and they approached Peter Zenger about publishing a newspaper. Since the only other printer in the colony was cranking out the Gazette, Zenger was a sensible choice. The New-York Weekly Journal, as Zenger’s paper was called, commenced publication in November of 1733. The coverage of William Cosby was not flattering, and it didn’t take long before the governor was outraged by Zenger’s zingers. The publisher was arrested, charged with seditious libel. Gov. Cosby handpicked the judges to try Zenger, and then he disbarred the attorneys who were going to represent Peter Zenger. A lawyer from Philadelphia named Andrew Hamilton took the case, and he offered a novel defense. He made the argument that even if a statement is defamatory, it’s not libelous if it can be proved to be true. Hamilton didn’t have legal precedent on his side; in those days, libel basically meant publishing anything that offended or embarrassed the Crown. While that might be valid in England, Hamilton argued, the situation was different in the colonies, and he went on to state that juries here had the right to render a verdict that did not follow the letter of the law. After Hamilton finally sat down, the governor’s judge gave instructions to the jury that made it very clear they were to find Zenger guilty. The jury was sent out to deliberate (wink-wink, thought the judge) on August 5, 1735. In about ten minutes they returned with a not guilty verdict; cheers rang out in the courtroom. Peter Zenger’s name became forever associated with a cornerstone of democracy — a free press. 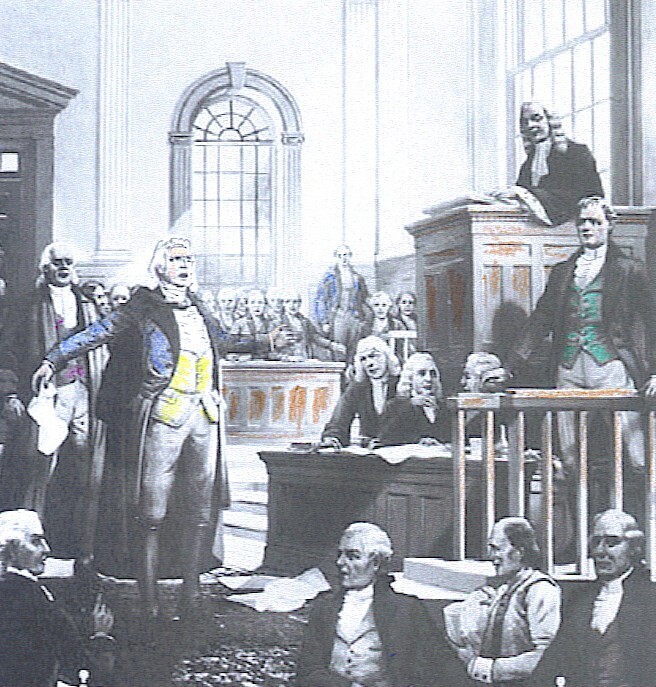 Andrew Hamilton’s courtroom skills brought another term into the lexicon: To this day, an attorney with mastery of legal technicalities is known as a Philadelphia lawyer. This entry was posted in History and tagged Zenger trial. Bookmark the permalink.